Take the next step! Get your *official* 2019 membership card! 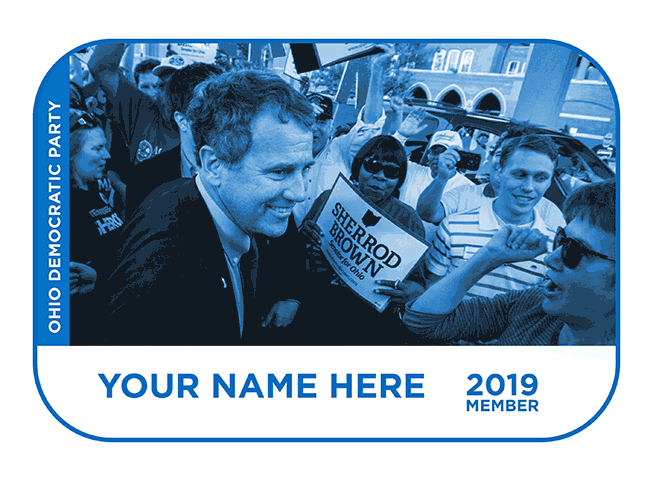 Pitch in $15 or more (or make *any* sustaining donation) and we will send you your official 2019 Ohio Democratic Party membership card.